Women make up half the planet, but millions of them have no voice. And even if they are being heard, are they being listened to? Over the past decade, we've talked to more than 1 million women worldwide about their daily lives -- and their hopes for themselves, their families and their world. We plan to keep listening and monitoring how much closer - or farther away -- the world is toward the development goal of achieving gender equality and empowering all women and girls. 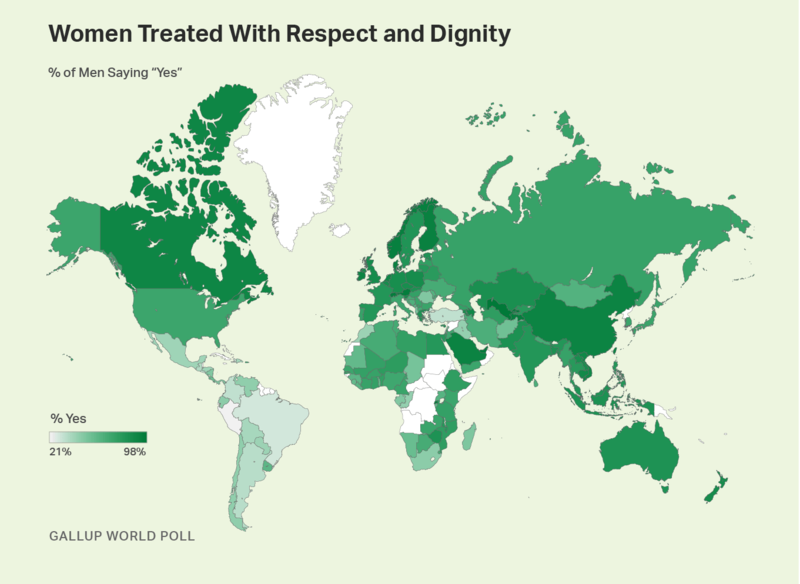 Are Women Treated With Respect and Dignity? 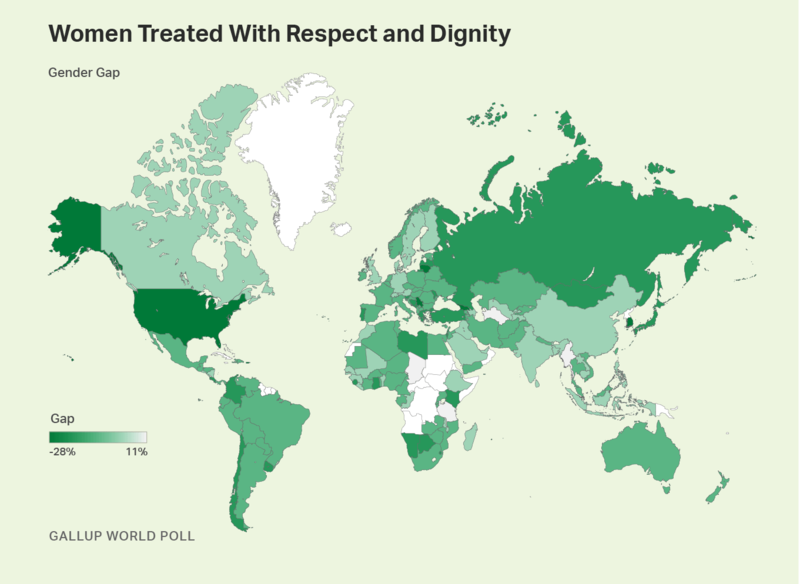 In 2018, Gallup asked men and women in 142 countries and territories whether the women where they live are treated with respect and dignity. Check out the maps to see how women and men around the world answered this question and to see how close -- or far apart -- their viewpoints are. Gallup's research directors for Latin America, sub-Saharan Africa and the former Soviet states and Eastern Europe share their insights on what they've heard from listening to the women in their regions. Hear their voices. Read their stories.